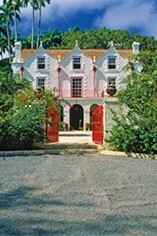 Nestled in the highlands of St Peter in Barbados is St. Nicholas Abbey. Built in 1658 and remaining virtually unchanged for the last 350 years, it is one of only three Jacobean mansions remaining in the Western Hemisphere. This old plantation house sits in over 400 acres of sugar cane fields and has been fully restored to its former glory by local architect and current owner, Larry Warren. Currently, the un-aged water-white rum from St. Nicholas Abbey is the only commercial rum distilled at the plantation itself. 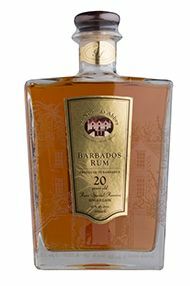 However, there are plans that eventually all rum will be distilled in St. Nicholas Abbeys' own still, Annabelle, using the estate's own home grown sugar cane. 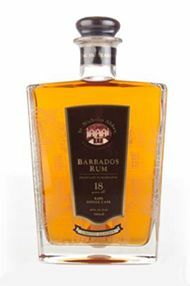 The aged rum is hand-bottled unblended straight from the barrel in an elegant glass decanter individually etched with an image of the St. Nicholas Abbey great house. The decanter is sealed with a mahogany cork topped with hand-embossed leather, symbolic of the island’s first mahogany trees, planted on Cherry Tree Hill over 250 years ago. The label is applied by hand and each decanter is engraved with both a number and date.The result is genuine, unblended liquor best enjoyed straight, with a smooth taste and a lively, sharp finish.